* June 22, 9:30 a.m.-2:30 p.m. – Maui Economic Opportunity, Classroom 1 and 2, 99 Mahalani St., Wailuku. * June 23, 8:30 a.m.-5 p.m. – Cameron Center, auditorium, 95 Mahalani St., Wailuku. * June 24, 8 a.m.-2:30 p.m. – Cameron Center, auditorium. * June 25, 9:45 a.m.-4:45 p.m. – Cameron Center, auditorium. * June 26, 8 a.m.-2:30 p.m. – Cameron Center, auditorium. Donors must be in good health, 18 years of age or older (17 with signed Blood Bank of Hawaii parent/legal guardian consent form), weigh 110 pounds or more, and bring a valid photo ID with date of birth. To make an appointment or for more information, call Blood Bank of Hawaii at (800) 372-9966 or visit www.bbh.org. Queen Ka’ahumanu Center will launch “Saturdays in the Shade,” a free summer concert series, with an appearance by reggae artists Inna Vision at 4 p.m. on Saturday. The second date in the series is July 4, featuring performances from “American Idol” alumni Eli-Mac and Super Dub Tribe, among others. The lineup for the third and final “Saturdays in the Shade” concert on Aug. 1 will be announced in the coming weeks via Queen Ka’ahumanu Center’s Facebook page. The performances on the Queen’s Stage at center court are free and open to the public. Start times will vary, but all performances will take place during the daytime in an effort to make it as convenient as possible for families to attend. For specific show details and the most up-to-date event information, visit queenkaahumanucenter.com and Facebook.com/QueenKaahumanuCenter. A rummage sale will take place from 7 to 10 a.m. Saturday in the King Kekaulike High School student dining room to benefit the King Kekaulike 20th Anniversary Committee. Donations of new or gently used items for the sale are also being accepted from Wednesday to Friday between 1:30 and 5 p.m. in the student dining room. Opened in 1995, King Kekaulike is celebrating its 20th anniversary in 2015 with the goal of bringing together alumni, supporters and current students, faculty and staff to help celebrate and honor the support of the Upcountry community. For more information, contact Susan Scofield at kkhs20thanniversarycommittee@gmail.com. Cultural practitioner Bolly Helekahi will launch the 2015 Hana No’eau cultural demonstration series, in the Kipahulu District of Haleakala National Park, from 1 to 3 p.m. Monday by teaching coconut weaving. Hana No’eau refers to demonstrating and honoring Native Hawaiian traditions. The weekly demonstrations are offered in Kipahulu on Sundays or Mondays between 1 and 3 p.m.; and at the summit on Fridays or Saturdays from 10 a.m. to noon. For a list of planned events, visit www.nps.gov/hale/planyourvisit/things2do.htm. Practitioners wishing to participate in this series will find an application at any Haleakala National Park visitor center or at www.nps.gov/hale/getinvolved/index.htm. AARP’s Smart Driver Class will be offered from 8:45 a.m. to 1 p.m. June 9 at the West Maui Senior Center. These classes are designed for drivers 50 years and older but all adults are welcome to attend. The emphasis is to become more aware of common age-related physical changes, how they affect one’s driving ability, and how to compensate. The fee is $20 (cash or check) and will be collected at the beginning of class. AARP members receive $5 discount with proof of membership. Some insurance carriers offer discounts to those who complete this class. The instructor is Kelly Stanley. The West Maui Senior Center is located at 788 Pauoa St. in Lahaina. Call 661-9432 for more information. The Auwahi Forest Restoration Project in Ulupalakua will continue with a service hike from 8 a.m. to 4 p.m. Saturday. Volunteers are asked to meet at Ulupalakua Ranch Store. Due to rough, steep terrain, hiking boots that cover the ankle are required. Layered clothing, rain gear, two liters of water, lunch, sunscreen and a hat are also recommended gear. Kaylee-Marie Zimmermann of Kamehameha Schools Maui was one of 25 Hawaii middle-school students from across the state who were selected as top winners in the annual “My Hawai’i” environmental writing contest for students in grades 6, 7 and 8. The competition was sponsored by the Pacific Writers’ Connection, the Hawai’i Conservation Alliance and multiple state and federal environmental agencies. Zimmermann’s submission is titled “Lokahi.” She was the only top winner from Maui County. Entries were selected from more than 350 submissions and are published in an anthology that will be distributed to schools and libraries on all islands. The students’ writing represents personal reflections on the environment, cultural values, kuleana, stewardship, and place-based writing that contributes to youth literature unique to Hawaii. The Lihikai Elementary School Council is recruiting council members for the 2015-16 school year. The council meets on the second Monday of the month at 3:30 p.m. in the school’s library. People interested in volunteering for the community member position, alternate community member position or alternate parent member position are asked to call Perky Ginter at 873-3033 during school hours. Maui Nui Botanical Gardens will host a Kalo (taro) Workshop led by cultural practitioner and accomplished farmer Jerry Konanui at 9 a.m. on Saturday. Konanui has provided statewide educational workshops and demonstrations since the 1960s and is an expert in kalo, sweet potato, kava and sugar cane, as well as other agricultural plants. He is a member of the Hawai’i State Taro Security and Purity Task Force representing the statewide Onipa’a Na Hui Kalo organization. Participants at the workshop will learn to identify Hawaiian varieties of kalo, discuss traditional cultivation methods, and learn about the cultural relevance of this important crop. A tasting portion will allow comparisons between varieties. Email info@mnbg.org or call 249-2798 for reservations. The cost is $20 for members and $45 for visitors. The gardens are located at 150 Kanaloa Ave. in Kahului. A McGerrow Camp Reunion will be held Oct. 16 and 17 and organizers are asking those planning to attend to fill out a registration form. The reunion will be at the Kahului Jodo Mission Hall. Registration forms may be picked up at Ah Fook’s Supermarket in the Kahului Shopping Center or from committee members Stella Kuwae, Lillian Arakawa, Jane and Don Ginoza, Betty Yoshimura or Isaac and Jane Toyama. Completed forms with a $25 registration fee may be turned in to committee members or mailed to McGerrow Reunion, 137 Kono Place, Kahului 96732. Club members and guests are invited to participate in a tour of the Job Corps of Maui campus and facility. Job Corps is a no-cost education and career technical training program administered by the U.S. Department of Labor that helps young people ages 16 through 24 improve the quality of their lives through career technical and academic training. The facility is located at 500 Ike Drive, off Baldwin Avenue, in Makawao. A car pool will meet at the Outback restaurant parking lot in Kihei at 9 a.m. and the tour will begin at 10 a.m.
To join the tour, contact Vocational Chair Margie Flores at margieF1202@yahoo.com or 633-4563. The Asian Real Estate Association of American (Aloha Chapter) is helping a family of 11 people who lost their home to a fire on May 4 on Kea Street in Kahului by organizing a collection of nonmonetary donations and gift cards. Drop-off locations are set up on Maui for the collection from 9 a.m. to 4 p.m. Monday through Thursday. At 10 a.m. on Saturday, the association will present the donations to the family at 403 Kea St.
Drop-off locations include Old Republic Title and Escrow, 5095 Napilihau St., Suite 114A in Napili; Fidelty National Title and Escrow, 285 W. Kaahumanu Ave., Suite 103 in Kahului; Title Guaranty Hawaii, 80 S. Puunene Ave. in Kahului; and Wells Fargo Home Mortgage Loans, 34 Wailea Gateway Place, Suite A205 in Wailea. AARP Hawaii will present a free Scam Jam from 10 a.m. to noon Saturday at the Queen Ka’ahumanu Center, and from 2 to 4 p.m. the same day at St. Theresa Church in Kihei. The purpose of the program is to educate people about con artists and how to fight back. Millions of dollars are lost each day to scams like foreign lottery fraud, bogus investment schemes, and online traps designed to steal people’s identity and savings, according to an announcement. Attendees will leave with free materials and tips from the experts. Free refreshments will also be provided. There is no registration for the morning session. To attend the afternoon session, call (toll free) 1-877-926-8300 or visit aarp.cvent.com/scamjam5-30. Malama Maui Nui is seeking volunteers for a beach cleanup from 8 a.m. to noon Saturday at the surf spot known as “River Mouth,” adjacent to Iao Stream in Waiehu. Volunteers should contact Malama Maui Nui for event details by emailing volunteer@cwdhawaii.org or calling 877-2524. The Society for the Prevention of Cruelty to Animals Maui will be collecting dog and cat food, pet supplies and pocket change to benefit Maui’s less fortunate pets from 10 a.m. to 2 p.m. today at Safeway in Kihei. Customers are asked to pick up a can or bag of pet food while shopping or donate their spare change. SPCA Maui’s all-volunteer PetFood Bank helps feed more than 200 pet families along with monthly flea and tick prevention, treats, toys and beds. For information on the program, to get food or to make a donation, contact Peter Tierney at 633-1678 or peter@spcamaui.org. Maui County Police Chief Tivoli Fa’aumu will be the guest speaker of the Rotary Club of Lahaina’s 11:45 a.m. to 1 p.m. meeting Thursday at the Royal Lahaina Resort’s Royal Ocean Terrace. The public is invited. Lunch ordered off the restaurant’s menu is discounted 25 percent. For more information about Rotary Club of Lahaina, visit www.rotarycluboflahaina.org or call club President Mila Salvador at 269-8723. Chad Miller, tasting room manager for the Haliimaile Distilling Co., will be guest speaker at the meeting of the Italian American Social Club on Tuesday at St. Theresa’s Hall in Kihei. The evening will begin with a potluck supper at 6 p.m.
Miller will speak about the 30-year journey of Mark Nigbur to open a distillery on Maui. The company produces handcrafted, locally made, authentic Hawaiian brand spirits. Maui Onnuri Church will have its annual barbecue chicken plate sale from 10 a.m. to 2 p.m. Saturday at 595 Lono Ave. in Kahului. The $10 chicken plate includes rice, kimchee and seaweed salad. The church is located across from the Maui High School parking lot. The Hawaii Government Employees Association Retirees General Membership meeting will be held at 10 a.m. June 16 at the UPW Hall, 841 Kolu St. in Wailuku. Mahie Trask, unit administrator, will be the guest speaker. A free water safety event, sponsored by the Will Smith Foundation, will take place from 11 a.m. to 4 p.m. May 31 at Hanakaoo Beach Park in Lahaina. Presented by the County of Maui Aquatics Department, Maui Ocean Safety officers, and the Maui Police and Maui Fire departments, the event will include water safety techniques, family fun paddling, rides in an outrigger canoe, a fire engine for keiki to explore, and lifeguards in action. Keiki of all ages are welcome, both residents and visitors. A free event T-shirt will be given to the first 150 children. Live music will be provided by Nashville recording artist Bryan Lewis and local musicians. Food will be available on-site. This third annual event is the brainchild of surfing legend and retired water safety officer Archie Kalepa, who was first on the scene to help young Will Smith after a tragic head-on car crash at Ukumehame Beach Park on June 3, 2007. Through the foundation, Will’s mom, grateful for islandwide support after her son’s death, brings together local businesses and safety organizations to celebrate a day of beach fun, music and ohana. Tony Dias, Department of Veterans Affairs home loan specialist, will host a free VA Home Loan Seminar from 10 a.m. to noon at the J. Walter Cameron Center on Saturday. To register, call (808) 436-5791. Refreshments and snacks will be served. The J. Walter Cameron Center is at 95 Mahalani St. in Wailuku. Summer camps and experiences at the University of Hawaii Maui College from June 13 through July 15 offer parents opportunities to introduce their child or teen to the college experience. College for Kids/College Bound offers classes for students in Grades 4 through 12. For details and to register, visit www.edventuremaui.com or call 984-3231. Some partial scholarships are available on a first-come, first-served basis for the weeklong camps. A Spin party to raise funds for the National Multiple Sclerosis Society, Researching and Fighting MS, was held May 17 at Maui Powerhouse Gym. Last year’s event raised $4,000, and this year’s event raised $10,298, according to an announcement. Instructor Steve Whipple led the event in honor of his mother, Elaine Whipple, and her restaurant and catering company, Elaine’s Sugar Bowl in Albion, N.Y.
On April 25 and 26, 10 Maui Rotary clubs accepted nonperishables and cash donations for the Maui Food Bank at the entrance doors of Foodland in Pukalani; Safeway in Kihei, Lahaina and Maui Lani; and Cash and Carry stores. A total of 4,575 pounds of food and $4,816 in funds were collected. Asthma specialist Celeste Baldwin of UH-Maui College’s nursing program will speak at the Rotary Club of Kihei-Wailea’s noon meeting today at Mulligan’s On the Blue Restaurant in Wailea. The meeting is open to the public. Lunch is available for purchase. Cheryl McCandliss, owner of Maui Mac Technology, will speak at the 7:30 a.m. breakfast meeting of the Rotary Club of Kihei Sunrise today at the Five Palms Restaurant at the Mana Kai Maui Resort in Kihei. Maui Mac Technology coordinates phone services for homeowners and small businesses. For more information, contact Secretary Joanne Laird at 757-0981 or visit www.kiheirotary.org. Piano students of Rose Johnson will be participating in a recital beginning at 1 p.m. Saturday at Iao Congregational Church in Wailuku. The students, including high school seniors Coleson Costales and Nicole Davis, will perform a variety of classical and contemporary pieces. Admission is free and the public is invited. Kennedy-Lugar Youth Exchange and Study student Verencya Oktaviani, a citizen of Indonesia and a senior at Maui High School, will be the guest speaker at the Kiwanis Club of Maui’s noon meeting Thursday at Tante’s restaurant in Kahului. Oktaviani will give a presentation about her home in Indonesia and her accomplishments during her stay on Maui. The meeting is open to the public and visitors are welcome; lunch is from the menu. For more information, contact Kathy Anderson at 357-8877. Imua Family Services Preschool will have an open house for its new facility from 5 to 7 p.m. Thursday at 161 S. Wakea Ave. in Kahului. For more information, call 244-7467 or RSVP at msatoafaiga@imuafamilyservices.org. Maui’s Wes Hada will lead a workshop about the didgeridoo from 2 to 4 p.m. and from 5 to 7 p.m. Thursday at the Wailuku Public Library. Attendees will hear an Aboriginal story of the creation of the first didgeridoo. During the second half of the workshop, Hada will give a lesson on “circular breathing” and allow participants to play some spontaneous didgeridoo music. These free programs are suitable for ages 6 and up. For more information, call the library at 243-5766. A children’s clothing exchange and fair will take place from 9 a.m. to 1 p.m. Saturday at Haiku Elementary School. The clothing exchange will include food, shave ice and a bounce house. Participants may trade children’s clothes they have for children’s clothes they need. For example, a mom of two children might bring 10 items of clothing that her kids have outgrown. She then has 10 credits to use to get what she needs. This clothing exchange is offered on the fourth Saturday of every other month. Community choir Melemai Kapu’uwaimai will be performing on Maui beginning Thursday. The majority of the performances will be open to the public. The 18-member choir includes students at Leeward Community College, a director and an accompanist. Its mission is to “praise the Lord” and create goodwill, hope and healing. It also aims to inspire, encourage and uplift veterans past and present, a news release said. The group’s songs cover classical, spiritual, contemporary, patriotic and Hawaiian language. The director is Marilyn Liu Kim, a retired music professor from Leeward Community College. Public performances are as follows: Thursday, 1:30 p.m., Roselani Place, Kahului; 7 p.m., Ka’anapali Beach Hotel lobby. Sunday, 9:30 a.m., Lahaina United Methodist Church; 11 a.m., Paia Hawaiian Protestant Church. Monday,10 a.m., Ka’anapali Beach Hotel lobby. A Saturday performance for the West Maui Veterans Memorial Day celebration is for veterans only. For more information, veterans may contact Paul Laub at 442-2450. Two Maui residents are among 18 students from high schools across the United States who will be awarded scholarships through the SunEdison Scholars program. The program offers one-time $3,000 college scholarships to students interested in renewable energy and science who live or go to school near SunEdison utility-scale projects. The company developed and operates the combined 51-megawatt Kaheawa Wind I & II project on Maui. * Sarah Armstrong, who attended Seabury Hall and will be studying biology and chemistry at Yale University. * Layke Yamauchi, a graduate of Baldwin High School, who will be studying biology at Oregon State University. Sushi and nishime will be available for pickup Saturday at Mantokuji Soto Zen Mission of Paia from 8 to 10 a.m. and at Ah Fook’s Supermarket in Kahului from 10 a.m. to noon. Pickup will be by pre-sale tickets only. Tickets have been sold out for this semiannual sale by the mission. Bachelor’s and master’s degree opportunities on Maui will be discussed at a University of Hawaii Center presentation at 6 p.m. Thursday at the UH-Maui College campus in Kahului. The event will be in the Laulima Building Room 108. The session will cover requirements for various degree programs as well as the application process. Programs include master’s degrees in education, information and library science, nursing and social work. Also available are post-baccalaureate teaching certificates in secondary or special education. Bachelor’s degrees in social sciences, health care administration, accounting, justice administration and interdisciplinary studies are also offered. For more information, contact the UH Center Maui at 984-3525 or uctrmaui@hawaii.edu. Frances Kakugawa will present “The Art of Caregiving” at 9 a.m. Saturday in the Hale Mahaolu Elima Community Hall, 11 Mahaolu St. in Kahului. Kakugawa has written books to help and inspire people who struggle as caregivers for loved ones afflicted with Alzheimer’s disease or other forms of dementia, according to an announcement. She will share lessons that can make a difference in the lives of caregivers. Refreshments will be provided for attendees, and certificates of attendance for professionals. This event is open to the public. No reservations are needed to attend. For more information, call 242-8636 or 871-5804. Maui County Director of Environmental Management Kyle Ginoza will be the guest speaker at the Rotary Club of Lahaina’s meeting at noon Thursday at the Royal Lahaina Resort’s Ocean Terrace Restaurant. He will discuss environmental issues in West Maui. A 25 percent discount will be offered for lunch ordered off of the restaurant’s menu. The event is open to the public. For more information, see www.rotarycluboflahaina.org or call Mila Salvador at 269-8723. The Niu Valley Middle School Symphonic Band from Oahu and Maui Waena Intermediate School Concert Band will perform at 6 p.m. May 24 in the Maui Waena cafeteria in Kahului. For more information call, the Maui Waena band room at 727-4298. The Seabury Hall Philosophy Club will hold a symposium on “How Do We Fix Education?” from 7 to 8:30 p.m. Tuesday at the A’ali’ikuhonua Creative Arts Center on the Olinda campus. Presenters will be Seabury Hall Headmaster Joseph Schmidt, University of Hawaii Maui College Chancellor Lui Hokoana, Maui Arts & Cultural Center Education Director Susana Brown, and Seabury Hall graduate and college student Nicolos Colon. Student moderator will be Thomas Hayashi. The free event is open to the public. A Massachusetts Reunion & Potluck will take place from 11 a.m. to 2 p.m. June 14 at Kamaole Beach Park III in Kihei. Attendees are encouraged to bring a Massachusetts potluck dish, wear a Red Sox, Patriots or Celtics T-shirt and speak “Bostonian.” A Massachusetts trivia contest will be on the agenda. Prizes will be awarded. For more information, call 280-1299. A free workshop will be offered to those who wish to learn obon dancing and the significance of the obon season during the next quarterly meeting of the Japanese Cultural Society from 10 a.m. to 1 p.m. June 6 at Wailuku Hongwanji Mission Social Hall, 1828 E. Vineyard St.
Sensei Ken Tasaka will be demonstrating the various obon dances. A bento lunch and water will be offered for a cost of $8 per person. Call Priscilla Yamamura at 283-4253 to RSVP by June 3. The first obon dance of the season will be held at Lahaina Shingon Mission on June 6. There will be a service at 6:30 p.m. and dancing at 7:30. A mini-bazaar will include a variety of sushi, baked goods, pickled mangoes and vegetables, nishime and more. Food concessions will offer chow fun, chili and rice, teriyaki meat, huli huli chicken, lau lau, Spam musubi, shave ice with azuki beans and cold drinks. Obon dance practice will be offered at 7 p.m. June 2 on the church grounds at 862 Luakini St.
Everyone is welcome to attend. For more information, call 661-0466. Free classes for adults wanting to learn basic computer skills will be offered at the Makawao Public Library on three Mondays in June. The 90-minute courses are taught by Al Bayless, who teaches Internet and computer skills at Maui public libraries and the Kaunoa Senior Center. * June 1, “Beginning Computer Skills.” Introduction to the mouse or touchpad, navigating the computer desktop, working with windows and tabs and the like. * June 8, “Intro to Documents, Files, Photos & Printing.” Learn how to create documents, work with files, download photos from a camera, back up files to a flash drive and print. * June 15, “Internet Basics.” Learn how to browse the Internet and use email. Participants may bring their own laptops, but a computer is not required. A valid Hawaii State Library System card is needed to connect to the library’s free wireless Internet. To register, call the library at 573-8785. Free 90-minute computer classes to be offered on three Mondays in June at the Makawao Public Library will begin at 6 p.m. A Local Brief on Page A5 on Thursday did not include the starting time. Hale Mahaolu Elua will hold its plant and rummage sale from 7 to 11 a.m. June 6. It will be at 200 Hina Ave. in Kahului. For more information, call 872-4180. Two students from University of Hawaii Maui College’s Dental Assisting Program are the recipients of the annual Doris Ann Capanash/Pat Corbett Memorial Scholarships recently awarded by the Rotary Club of Kihei Sunrise. Brigette Tomas received a $750 scholarship. She plans to continue her education at UH-Maui College and hopes to be selected as one of 12 applicants for the school’s Dental Hygiene Program. She hopes to later attend a dental school on the Mainland. Ja’Nae Chaves received a $500 scholarship. She will be graduating from the college with an associate of arts degree in liberal arts along with a certificate in completion for dental assisting. She hopes to be selected into UH-Maui College’s dental program to continue her studies. Tomas and Chaves participated in the Keiki Dental Program at Kihei and Kamalii elementary schools. The dental program is sponsored by the club. Capanash was the wife of past Rotary District 5000 Assistant District Gov. Ron Capanash. Corbett was the wife of Past President Ed Corbett and was an active member of the Rotary of Kihei Sunrise, having served on the board of directors for four years. 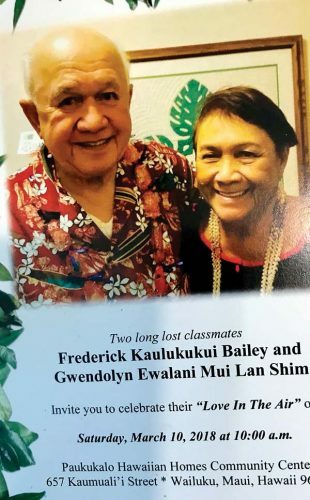 Both women were actively involved in promoting quality educational experiences for students on Maui prior to their passing, a news release said. Safe boating information and services, along with a children’s water safety program, will be offered at a National Safe Boating Week kickoff event from 8:30 a.m. to 1 p.m. Saturday at the Kihei Boat Ramp. The event is put on by the U.S. Coast Guard along with its Auxiliary and Marine Safety Team. Participants may bring their boats on trailers to receive a recreational vessel safety exam by the auxiliary and receive a 2015 sticker. People may also register their kayaks and stand-up paddleboards to receive a free orange sticker to label with one’s name and number. The label helps first responders determine if a search-and-rescue mission is needed. Also featured will be “Coastie The Safety Boat,” the youth education, boating and water safety program. For more information, send email to MauiBoatClass@gmail.com. For information on boating classes, including the state’s mandated licensing course, see www.mauiboatclass.com. The University of Hawaii Maui College Dental Assisting Program will hold a general orientation meeting for prospective students for fall admittance at 4 p.m. Thursday at the UH-Maui College Dental Clinic Noi’i Building at the Kahului campus. The program is an accredited two-semester program that provides students with the skills needed to work in the dental profession, a news release said. Students are taught in the classroom while receiving hands-on clinical training. Applications are due June 1. More information can be found at www.maui.hawaii.edu/dental. Students may complete the Biology 100 prerequisite course this summer for fall admittance. To reserve a seat at the meeting, call 984-3250. The Keokea Homestead Farm Lots Association will hold its first “Da Taste of Keokea,” from 1 to 6 p.m. Saturday at the Keokea Marketplace at the 16.9-mile marker on Kula Highway and Kaamana Street. Admission is $1, and attendees will be able to buy and savor cuisine by chefs and cooks. Some of the dishes include kalua pork with watercress, chow fun, pastele sausage, pa’i’ai (poi) chicharron, pulled pork sliders, cilantro chicken wrap, smoke meat plate, Vietnamese hot noodle dish, salads and beverages. There will also be a hula performance and local music. The event promotes a farm-to-table theme, local organic ingredients, respect for natural resources and sustainable practices. Event organizers promote zero waste and urge diners to bring their own reusable plates, bowl, cups and silverware. Diners may want to bring warm clothing and beach chairs or mats. The “Flores de Mayo” Flowers of May Festival and Scholarship Award event will be held at 6 p.m. Friday at the St. Theresa Church courtyard in Kihei. Mass begins at 5:30 p.m. at the church. Dinner tickets cost $15 and are available at the door. Contact Rey Golino at 205-2976 or Marietta Carino at 250-7260. Isla Young, the director for K-12 STEM Education for the Women in Technology Project, will be the guest speaker at the American Association of University Women’s meeting on May 23 at the Kahili Restaurant in Waikapu. A business meeting and silent auction will be at 10:30 a.m. followed by the speaker at at 11. Lunch is at 12:15 p.m.
Young will discuss the Technology Project created by the Maui Economic Development Board. The statewide project works with businesses and educators to inspire, educate and motivate girls, women and minorities toward careers related to STEM (science, technology, engineering and mathematics). For reservations and selection of entrees, contact Janet Walker at bjpwalker@com cast.net or (530) 409-0192. Cost is $18 for members and $20 for guests. AARP’s Smart Driver Class will be held from 8:45 a.m. to 1 p.m. May 20 at the Kaunoa Senior Center in Spreckelsville. The class is for those 50 years and older, but all adults are welcome. The class, led by Richard Haake, is designed to have people become more aware of common age-related physical changes, how it affects one’s driving ability and how to compensate. Pre-registration is requested. There is a $20 fee payable by cash or check, which will be collected at the beginning of class. AARP members receive a $5 discount with proof of membership. Some insurance carriers offer discounts to those who complete the class. Call Kaunoa Senior Center at 270-7308. A portion of sales at Whole Foods Market Maui on May 27 will benefit Special Olympics Maui. During the store’s Community Support Day, the market will donate 5 percent of the day’s sales to the Maui organization, according to a news release. The organization provides sports training and competition to more than 250 Maui County athletes. Whole Foods Market is at the Maui Mall in Kahului. For more information on Special Olympics Maui, call 281-7318 or see www.specialolympicshawaii.org. Maui Nui Botanical Gardens will host a Hawaiian sugar cane workshop, “Na Ko O Hawaii Nei,” from 9 a.m. to noon on May 23 at the gardens at 150 Kanaloa Ave. in Kahului. It will be taught by Native Hawaiian and Stanford graduate Noa Lincoln of Kealakekua, Hawaii. He will discuss the history of Hawaiian sugar cane, teach participants how to identify Hawaiian varieties, and have a tasting of fresh-squeezed sugar cane juice. The gardens have 43 different varieties of sugar cane, which are part of the agricultural legacy created in Hawaii before European contact, a news release said. Cost is $45 for the public and $20 for members. For reservations, call 249-2798 or send email to info@mnbg.org. The event is sponsored by the Hawai’i Tourism Authority. “Ten Ways a Plant-Based Diet Will Help You Avoid the Scalpel,” a presentation by Dr. Irminne Van Dyken, will take place at 7 p.m. Thursday at the Cameron Center, 95 Mahalani St. in Wailuku. Admission is free and refreshments will be provided courtesy of Down to Earth Organic & Natural. This seminar is being presented by the Vegetarian Society of Hawaii. For more information, contact 385-2790 or jerome.kellner@gmail.com. A free concert by the Chop Suey Jazz Orchestra will be presented at Kahului Public Library at 6:30 p.m. Tuesday. The 19-piece jazz band, known for its upbeat, contemporary big band jazz arrangements, is directed by Casey Nagata and features local musicians from around The Valley Isle. The Maui Friends of the Library is sponsoring this one-hour concert, which is suitable for the whole family. Young children must be accompanied by a parent or caregiver. Kahului Public Library is located at 90 School St. For more information, call the library at 873-3097. 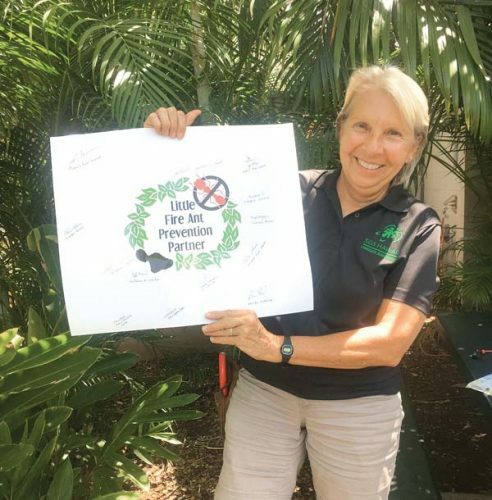 King Kekaulike High School 2015 Project Graduation committee members will be available at the front of campus from 7 to 8 a.m. and from 2 to 2:40 p.m. on Monday to collect envelopes that were passed out at a parent meeting on April 30. For more information, call Kris Musto, chairperson, at 870-0553. Maui Adult Day Care Centers and the Maui County Office on Aging will present a free workshop titled “How to Get Through the Medicaid Maze” at 10 a.m. Wednesday at Home Pumehana Hall on Molokai. The workshop is open to the public. No reservations are required. Certificates of attendance will be available for professionals and light refreshments will be provided. For more information, call 553-5241 or 871-5804. The Rotary Club of Lahaina recently awarded the following scholarships to seniors of Maui Preparatory Academy: Joshua Acheta – $2,250; Molie Glass – $2,250; Gina Marzo – $1,750; Alexandra Mosley – $1,000; and Ethan Frank – $1,000. Jo Anne Johnson-Winer, director of the County of Maui Department of Transportation, will speak about public transportation and bus shelters in West Maui at the noon-to-1 p.m. meeting of The Rotary Club of Lahaina on Thursday at the Royal Lahaina Resort’s Ocean Terrace Restaurant. For more information, visit www.rotarycluboflahaina.org. or call club President Mila Salvador at 269-8723. A McGregor Camp Reunion will be held Oct. 16 and 17 and organizers are asking those planning to attend to fill out a registration form. The reunion will be at the Kahului Jodo Mission Hall. Completed forms with a $25 registration fee may be turned in to committee members or mailed to McGregor Reunion, 137 Kono Place, Kahului 96732. Dr. Leslie Oberst of the Maui Memorial Medical Center’s Cardiology Department will be guest speaker at the noon meeting of the Rotary Club of Kahului on Monday at Cafe O’Lei at the Dunes at Maui Lani. Oberst will discuss preventative medicine using current guidelines; the use of cardiac calcium scoring in changing behavior and attitude toward cholesterol treatment; new advanced imaging equipment and its cardiac applications; the impact of advanced imaging in the diagnosis and treatment of cardiac disease; and offer an overview of cardiovascular care on Maui, both past and present. The public is invited. The cost for lunch is $20, or $5 for the program only. Information about speakers and club service projects can be found at www.kahuluirotary.com. For more information, call club President Anders Lyons at (808) 463-4192. PBS NewsHour Student Reporting Labs have selected 18 fellows from 11 states to participate in the first SRL Academy in Washington, D.C., this June and July. Three of the fellows are from Maui: John Fabella of Maui Waena Intermediate School, and Giel Marie Tolentino and Zoe Whitney, both of Maui High School. They are the only Hawaii students chosen. The middle and high school fellows will work alongside public media mentors to produce original news content, according to a news release. They will also help program leaders develop strategies to engage young people in news and current affairs. Fellows were chosen by a selection committee composed of the Student Reporting Labs staff and teachers. 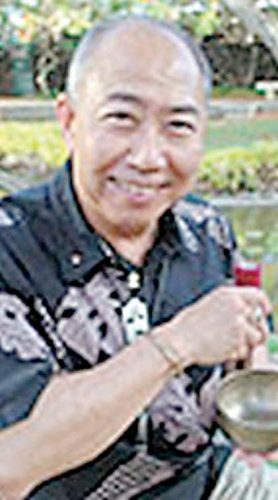 Troy Hashimoto, a steering committee member for the Ka Ipu Kukui Fellow Program, will speak at the Rotary Club of Kihei Sunrise 7:30 a.m. breakfast meeting on Wednesday at the Five Palms Restaurant at the Mana Kai Maui Resort in Kihei. A Decisions Maui and Focus Maui Nui initiative, the program was conceived to promote and develop future leaders among working professionals through a community-based program designed to address planning for Maui’s future. The cost of the breakfast is $22. The meeting is open to the public. For more information, contact Secretary Joanne Laird at 757-0981 or visit www.kiheirotary.org. Joanne Laird, program director for Read Aloud America Program, will present a Keiki Story Time at Whole Foods Market at 2 p.m. May 17. This 30-minute story time is geared for children ages prekindergarten through 2nd grade. There will be healthy snacks provided by Whole Foods Market for the children. At the conclusion of the read-aloud session, each child will be able to select a brand-new book from the Read Aloud America library to take home. There will also be drawings for door prizes at the conclusion of the program. All children must be accompanied by a parent or caregiver. George Kahumoku Jr. will host “Kukuna Kaiao,” a fundraising event for the Rotary Club of Kihei Sunrise and the University of Hawaii Maui College Institute of Hawaiian Music, from 2 to 5 p.m. May 30 at Beach Bums Restaurant in the Ma’alaea Harbor Shops. In addition to an all-you-can eat barbecue buffet, musical entertainment will be provided by students of the UH-Maui Hawaii Institute of Hawaiian Music. There will also be a silent auction. The cost is $45. For tickets, visit www.kiheirotary.org or call Ed Corbett at 264-3468. The National Kidney Foundation of Hawaii’s Maui office celebrated the efforts of its volunteers at an annual awards dinner at The Ale House in Kahului on April 28. Special awards were presented to Megan Hill, Helping Hand Award; Joe Macomber, Outstanding Health Care Volunteer; Anne Trygstad, Outstanding Volunteer Recruiter; and Priscilla Bratland, Volunteer of the Year. Along with the individual and professional volunteers, the foundation also relies on its relationship with several local businesses such as Diagnostic Laboratories, the Lions Club of Maui, Hawaii Organ Transplant organization, University of Hawaii Maui College nursing students and Rainbow Dialysis to help maintain the high level of success when conducting public screenings. The Pu’u Kukui Elementary School Student Community Council is seeking candidate nominations for parent representatives and a community representative. Self-nominations are welcome. The council is made up of the school’s principal, one faculty member, one staff member, one student, three parent representatives and one community representative. Meetings are held monthly during the school year and are open to the public. Nominations should be sent to Principal Chad Okamoto at chad_okamoto@notes.k12.hi.us by May 15. For more information, contact Okamoto at 727-3000. Haleakala National Park is recruiting residents for Kia’i ala Hele (Trail Guardians) to educate backpackers and hikers about the unique natural and cultural resources of Haleakala. Trail Guardians commit to volunteering six hours a month for six months. The application deadline is May 20. Families are particularly encouraged to apply. Three required training sessions will be offered: 5 to 8 p.m. May 27 at the Mayor Hannibal Tavares Community Center in Pukalani and 8 a.m. to 5 p.m. May 30 and June 20 at the park headquarters. The training sessions will cover natural and cultural resources, education, emergency protocols and CPR/first aid. For more information and to apply go to www.nps.gov/hale/getinvolved/volunteer.htm, click on the “Kia’i Ala Hele” links for training information and the application. Historic Hawai’i Foundation will offer a series of five community workshops on how to nominate historic properties to the Hawai’i State and National Registers of Historic Places. The Maui County workshops will be held from 9 a.m. to noon on May 15 at the J. Walter Cameron Center, 95 Mahalani St. in Wailuku; and on July 24 at the ILWU Union Hall, 849 Ilima Ave., in Lanai City. The workshops are free and open to the public. Pre-registration is required. Information and online registration are available at www.historichawaii.org. Questions about the workshop may be directed to Historic Hawai’i Foundation at 523-2900 or megan@historichawaii.org. Kaui Kanakaole of Maui is one of 12 awardees for The Native Arts and Cultures Foundation’s inaugural 2015 NACF Native Hawaiian Artist Fellowship awards. Kanakaole was selected in the dance category. The award recognizes exceptional Native Hawaiian artists who have made a significant impact in the fields of visual arts, dance, music and traditional arts. Four of Haiku artist Brad Forsythe’s signed, limited-edition smartphone cases were selected as finalists in the eighth annual International Design Awards in the Communications Technology New Product category in Los Angeles. Forsythe collaborated with Luca Torresi to feature his original mixed media paintings for Marche, Italy-based iNature. The IDA annual design competition honors legendary design visionaries in architecture, interior, product, graphic and fashion design. This year’s entries totaled over 1,000 and were represented by works from 52 different countries. iNature’s smartphone cases are sold throughout Italy, Japan and online at www.inature.it. Fergus & Co. is moving forward with the construction of a new 30,000-square-foot flex warehouse building located on Wakea Avenue between Hina and Kamehameha avenues, according to a news release. The site historically served as the Maui Land & Pineapple Co. employee parking lot up until 2007, when ML&P shut down operations at the site. The new building will be designed to support multiple tenants with retail and industrial uses and will offer direct street frontage along Wakea Avenue, the release states. The project, which received Maui Planning Commission approval last year, is expected to break ground later this year and has a 2016 construction completion date. “Drawing with Oil Pastels,” a free Saturday afternoon program series, will be offered at Makawao Public Library on Saturday, May 30 and June 6 and 20 in the children’s section. Children ages 5 through 10, accompanied by a parent or caregiver, are invited to register for these programs, which will be presented from 2 to 3:30 p.m.
Maui artist Shirley Dumo will conduct the programs and demonstrate drawing techniques using oil pastel and pencil on paper. Dumo will discuss shading, color blending, perspective and contrast. Children will be encouraged to use their imagination to tell a story by drawing pictures using oil pastels, and will have an opportunity to show their work and discuss ideas. All supplies will be provided. The Maui Friends of the Library is sponsoring this special program series. Reservations are required. Makawao Public Library is located at 1159 Makawao Ave. For more information or to register for a program, call the library at 573-8785. The Kihei Elementary Student Council, with the support of the Rotary Club of Kihei Sunrise, recently planned and successfully coordinated a “Pennies for Polio” fundraising drive. The drive was held for five weeks with the prize of an ice cream sundae party being awarded to the class with the highest amount of funds collected. When the final tally was recorded, more than $1,300 was collected from 25 different classes. The winner was Angelina Tsuhako’s 5th-grade class, which collected almost $270 in coin and currency. The ice cream sundae party was hosted by the Rotary Club of Kihei Sunrise for the winning class and its teacher. Also attending were the 12 student council members and their advisers, Loraine Jordan and Taylissa Lehano. The National Day of Prayer observance sponsored by the Maui Christian Ministers Association has been moved to the Faith In Jesus Church, near Sack N Save, 432 Waiehu Beach Road. The prayer observance will take place from noon to 1 p.m. Thursday. Because of the recent strife between civilians and police officers across the nation, the association wants to pray for the Maui Police Department and invites all police officers to attend. The public is asked to bring lei to honor the officers. IHOP Restaurant in the Maui Mall is giving teachers “extra credit” this year in honor of Teacher Appreciation Week, through Friday. Participating teachers will receive a free entree and free coffee between 7 a.m. and 7 p.m.
Teachers must present valid school ID to receive the offer. Restrictions apply. Additionally, the restaurant is inviting students to show their appreciation by nominating their favorite teachers for “best teacher” and rewarding them with a free entree at IHOP. Students can pick up a nomination form at the restaurant, fill it out and present it to their favorite teacher. The teacher can redeem the nomination for the free entree through May 31. Every teacher’s nomination will be displayed in the restaurant throughout May so that every guest can recognize their contribution to the community. The Italian American Club of Maui will host a potluck at 6 p.m. Tuesday at Kaunoa Senior Center, 401 Alakapa Pl., in Spreckelsville. Attendees are asked to bring a dish for five or more from a region in Italy along with recipe cards to swap. The club will provide paper products and utensils. Attendees may bring a beverage to accompany the meal. For more information, call 280-8008 or visit www.italianamericanclubofmaui.com. Unity Church of Maui will offer a Silent Retreat from 6:30 to 8:30 p.m. May 15 and from 10 a.m. to 5:15 p.m. May 16 at 483 S. High St., in Wailuku. The retreat will be facilitated by the Rev. Blaine Tinsley and Emily Goss. The cost is $40 for both days. This retreat will include sitting and walking meditation, yoga, tai chi, and time for napping and poetry reading. All activities are optional and meditations will be 30 minutes or less. The registration deadline is Sunday. They may be emailed to office@unityonmaui.org or call 243-9327. Hyatt Vacation Ownership, an operating business of Interval Leisure Group, announced that its newest property, Hyatt Ka’anapali Beach, a Hyatt Residence Club Resort, received the American Resort Development Association’s 2015 ARDA Circle of Excellence Domestic Project of Excellence award. The accolade recognizes a time-share or mixed-use project built within the United States, and the judges consider design, sustainability and community impact. Hyatt Ka’anapali Beach also took home top awards in two resort design categories: best site plan and resort architecture, and was a finalist in two others. The honors were conferred during a gala held at the recent ARDA World convention in Orlando, Fla. Author and columnist Norm Bezane has opened a new online bookstore called Joys of K to sell books about significant people of Maui over the last 50 years. People profiled include the late Ed Lindsey and late activist Charlie Maxwell. Others include Peter Merriman, Willie K, George Kahumoku Jr., the founders of Old Lahaina Luau, and public servants, such as Mike Victorino, Mike White and Angus McKelvey. Histories of King Kamehameha and Queen Lili’uokalani also are featured. Voices of Maui books also are sold in both the Kahului and Lahaina bookstores of the Maui Friends of the Library at the Queen Ka’ahumanu and Wharf Cinema centers. Maui County resident Rebecca King was recognized as one of the state Red Cross Volunteers of the Year during a Heroes Breakfast on April 11 at the Waikiki Marriott. Across the United States, hundreds of thousands of volunteers are part of the Red Cross. They respond to fires, teach lifesaving skills like first aid and CPR, and volunteer at Army hospitals. Luncheon tickets and golf balls are available for purchase for the Rotary Club of Kahului’s 2015 Michael H. Lyons II Palaka Luncheon & Golf Ball Drop on Aug. 28 at the King Kamehameha Golf Club. This is the primary fundraiser for the Rotary Club of Kahului’s Michael H. Lyons II Memorial Scholarship Fund, providing financial assistance to college-bound Maui youth. The club will drop 2,000 golf balls from a helicopter during the luncheon to be held in the Waikapu Ballroom. For more information on purchasing golf balls or luncheon tickets, go to www.kahuluirotary. com or call club President Kauwela Bisquera at 244-7185. Iao Intermediate School is looking for 14 parents or community members who can volunteer to share their career choices with students in grade 8. Guest speakers will be asked to make a 15- to 20-minute presentation to one class of about 25 students each. The recommended format includes related school subjects studied, education/training, personal skills, salary range, typical day, student friendly games/presentations, hands-on activities or visuals. For more information, contact Alaina Valite by phone at 984-5610, ext. 7275151, by fax at 984-5617 or by email at alaina_valite@notes.k12.hi.us. A free Maui Mompreneur Spring Event, featuring mom-owned businesses, will take place from 9 a.m. to 1 p.m. Saturday at the Maui Beach Hotel Elleair Ballroom in Kahului. Handmade gifts and crafts, business opportunities and professional services will be showcased. Haleakala National Park is seeking applicants currently working in Maui County Title I kindergarten to 12th grade schools for a six-week summer professional development opportunity. A $3,000 stipend is awarded upon completion of the program, which runs from June 10 to July 22. One teacher will be selected to work at Haleakala. The application deadline is Monday. The Teacher Ranger Teacher program is a partnership between the National Park Service and the University of Colorado Denver. Participants are trained in park resources and themes, develop a major educational project and complete an online graduate course from UCD. The program’s goal is to help teachers expand youth awareness of national parks and incorporate new skills and park themes into curriculum. Program requirements are 160 hours and completion of a major educational project, 45 hours of online coursework and 25 hours of national park service operational experiences. Teachers must be on island for the program. There is no park housing available. For more information and an application, go to www.nps.gov/ hale/getinvolved/index.htm. Lahainaluna High School’s Agriculture and Future Farmers of America programs will hold a plant sale from 8 a.m. to noon Saturday at the Lahaina Cannery Mall parking lot below Honoapiilani Highway. This plant sale is a fundraiser for the school’s agriculture and FFA students to help them cover travel expenses to Oahu for their state FFA Conference, to purchase new garden tools, and to offer scholarships to graduating seniors. All plants for sale are grown by the agriculture students in a plant nursery on campus. Plants for sale will include plumeria, desert rose, papaya, Hawaiian chili pepper, lilikoi, ti and red ginger. The Maui Economic Development Board is offering a limited number of scholarships for Hana, Lanai or Molokai residents to participate in the second annual Startup Weekend Maui. Scheduled on May 15-17, Startup Weekend inspires entrepreneurs to launch a startup in just 54 hours. The event brings together entrepreneurs of different backgrounds, including software developers, marketers, designers and other enthusiasts. The event will be held at MEDB’s Malcolm Center, 1305 N. Holopono St., and at the Maui Research & Technology Center, 590 Lipoa Parkway. Both are located in the Maui Research & Technology Park in Kihei. The deadline to submit a scholarship application is midnight Thursday. Scholarships are limited. To apply, go to www.medb.org/wp-content/uploads/2015/04/SUW-Scholarship-Application-Form1.pdf. The Rotary Club of Kahului will hear from the SHAKA Movement’s Christina Fisher, executive director, and Barbara Savitt, board president, during the club’s noon meeting Monday at Cafe O’Lei at the Dunes at Maui Lani. Fisher and Savitt will provide an overview of the post-election struggles since approval of ballot initiative for a moratorium on cultivation of genetically engineered crops until an environmental impact study can be conducted. The public is invited. The cost for lunch is $20 or a $5 program fee. Information about speakers and club service projects can be found at www.kahuluirotary.com. For more information, call club President Anders Lyons at (808) 463-4192. Maui Ocean Center’s complimentary Sea Talk Series will continue at 6 p.m. on May 7 with a presentation at the center by Maui Nui Marine Mammal Response Coordinator Nicole Davis. She will focus the talk on the basics of the critically endangered Hawaiian monk seal. Attendees will also learn how to prepare for the Monk Seal Count. That event will be held from 9 a.m. to noon on May 16 and is open to all ages. The talk will include a chance to choose a zone for the count. Admission is complimentary. Reservations are recommended and can be made by calling 270-7088. 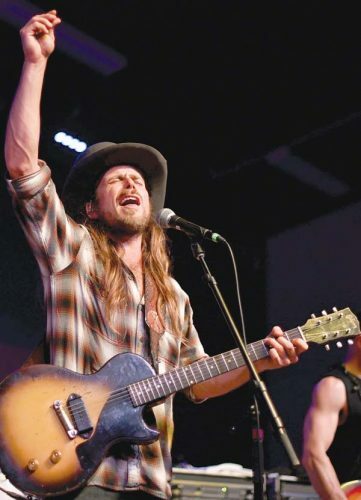 The Jewish Congregation of Maui will celebrate Lag B’Omer with a Tel Aviv-style Israeli nightclub dance party at 6 p.m. Thursday at the Jewish Congregation of Maui, 634 Alulike St., in Kihei. Light pupu will be provided. This is a BYOB event (no unkosher wines). For more information or to assist with the celebration as a volunteer, call the office at 874-5397. AARP’s Smart Driver Class will be offered from 8:45 a.m. to 1 p.m. Thursday at Kalama Heights Retirement Community, 101 Kanani Road in Kihei. These classes are designed for drivers 50 years and older, but all adults are welcome to attend. The aim is to teach students to become more aware of common age-related physical changes, how they affect one’s driving ability and how to compensate. The $20 fee (cash or check) will be collected at the beginning of class. AARP members receive $5 discount with proof of membership. Some insurance carriers offer discounts to those who complete this class. The instructor is Burkhard Berger. Pre-registration is requested. Call Kaunoa Senior Center at 270-7308. Theodore (Teddy) Fisher Wilson, a 10th-grader at Seabury Hall, is the newest Eagle Scout with Troop 100 of Kula. Wilson organized and led a trail upgrade at the D.T. Fleming Arboretum for his Eagle project in November 2014. His mentor was Ethan Romanchak. Fleming Arboretum is owned by Martha Vockrodt-Moran and David Moran. Only 4 percent of Boy Scouts nationwide achieve this highest level of rank to become an Eagle Scout. Wilson’s parents are Kelly Bass and Michael D. Wilson. A fundraising garage sale for the 9th Life Hawaii no-kill cat rescue and sanctuary will be held May 9 in Kihei. The sale will be from 8 a.m. to 2 p.m. at 231 Kawailani Circle in the Piilani Village II subdivision. As of April 1, the nonprofit organization has sterilized more than 6,800 cats and continues to hold monthly spaying and neutering clinics to humanely reduce the cat population, according to Phyllis Tavares, 9th Life executive director. At its shelter, 9th Life has many special-needs cats, including one-eyed and three-limbed cats, as well as felines with kidney failure and cancer, Tavares said. Donations for the garage sale can be made by calling 879-3059. More information is available at 9thlifehawaii.org. Josh Ige represented Lanai during the A Day at the Capitol event on March 12. More than 500 people represented individuals or family members with developmental and intellectual disabilities at the event. Ige was the first person from the Lanai community to attend. He received a scholarship from the Hawaii State Council on Developmental Disabilities, which covered his travel and meal expenses. Mike McCormick, state director of Best Buddies Hawaii, accompanied Ige on his visit to the Capitol. Taiko performances, karate demonstrations and Japanese dancing will be a few of the highlights of the 2015 Maui Matsuri kickoff event sponsored in part by Araki-Regan & Associates LLC from 6:30 to 9 p.m. Friday at Queen Ka’ahumanu Center. The event will also feature minyo (folk) dancing, prize giveaways, a coloring contest sponsored by Sanrio, and an appearance by Hello Kitty. It will conclude with bon odori (bon dance) practice around the stage at approximately 8:15 p.m. The purpose of this free event is to raise awareness about the upcoming 15th annual Maui Matsuri on May 15 and 16. Admission is free to all Maui Matsuri events. For more information about the Maui Matsuri kickoff event, call the festival hotline at 283-9999 or visit www.mauimatsuri.com. The Maui Filipino Chamber of Commerce is seeking nominations for the 2015 Gintong Pamana Leadership Awards to recognize the leadership and community service of outstanding members of the Maui Filipino community. “We urge you to use this opportunity to honor a Filipino who has excelled in his or her career and has devoted time to give back to the community,” said Melen Agcolicol, president of the chamber. A nomination form is available at www.mauifilipinochamber.com. All nominations must be postmarked by May 15 and mailed to Maui Filipino Chamber of Commerce at P.O. Box 331033, Kahului 96733, with special attention to Jorge Tirona, nominations chair. Awardees will be honored at the Gintong Pamana Leadership & Scholarship Awards Banquet at 5:30 p.m. June 17 at Cafe O’Lei at the Dunes at Maui Lani. Tickets for the banquet are available at $50 per person, which includes a prime rib buffet dinner. Sponsorship and advertising opportunities are also available. Contact Kit Zulueta at 291-9407 for inquiries. The Maui Fire Fighters Auxiliary is offering two $500 scholarships for students pursuing secondary education degrees in the fall. One scholarship is available to children of active members of the Maui Fire Department, and a second is available to all students of Maui County. Applications are available at sites.google.com/site/mauiffa/. All scholarship materials must be postmarked by May 30. Interested students may contact mffauxiliary@gmail.com if they have questions. In addition to completing the application, students must provide a letter of recommendation, a transcript and a personal statement. The Aina Nalu Wine & Silent Auction Fundraiser for the Lahaina Complex After-School Enrichment Tutor Project will take place from 6 to 9 p.m. May 23 at the Aina Nalu Pavilion at 660 Wainee St. in Lahaina. Contributions to the event can be made in several ways: financial donations, wine, supplies, merchandise, gift cards or an in-kind gift for the silent auction. Donations to the fundraiser may be made by contacting Barbara Potts at barb@alohapotts.com. Tickets to the fundraiser can be purchased online at eventbrite.com or pfee.org. The price is $60 per person and includes two glasses of wine, pupus and entertainment by smooth jazz guitarist Gary Larson. The goal for the 2015 fundraiser is to surpass the 2013 fundraiser, which resulted in a $21,000 donation to the program to help defray costs, according to an announcement. Bus transportation for students to and from tutoring sessions, duplication of materials, supplies and snacks are just some of the mounting costs each year. McDonald’s Restaurants of Hawaii has awarded 10 $2,500 college scholarships to its top student employees. Justin Cravalho, who works at McDonald’s of Pukalani, was the lone scholarship recipient representing Maui. He is a student at Maui High School and plans to attend Northern Arizona University.